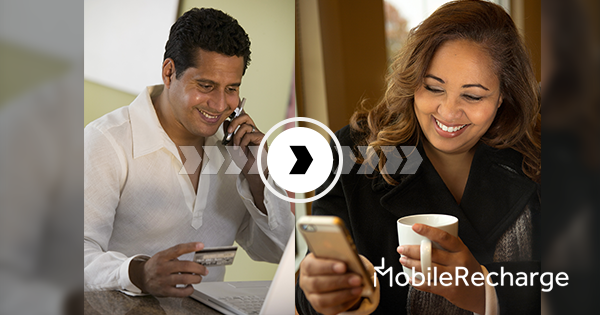 Whether you call it top up, mobile airtime, mobile credit, mobile load or else, you’re in the right place. We help you send credit to mobiles in other countries, within a safe and friendly environment. No matter the distance, it only takes 1 minute at most. Our mission is to facilitate international mobile recharges and keep families and friends living far away better connected and supportive to each other. From the get-go, we made quality our main focus, as well as price. And customer assistance and accessibility are still two important attributes of the service. We have created MobileRecharge.com as a friendly tool for easy online recharges. What makes us proud is that we host the major mobile recharge operators in the world and the most attractive daily promotions. Hundreds of thousands of consumers and businesses stick to MobileRecharge.com for a series of reasons that make us stand out on the international market. Partly due to the attention and care our fans get in different ways. MobileRecharge.com provides support channels and daily promotions, and has created an easy to use website and an easy to order service. This made it grow very fast. MobileRecharge.com team launched the first World Top Up day in human history, to celebrate top up givers worldwide as a special category of generous people. Most of them are expats that MobileRecharge.com serves daily. You’ll find top ups easy! Our mobile-friendly interfaces have been designed to make the top up process as simple and quick as it gets. Meet our friendly team via the online chat. They are here for any inquiry or suggestion. MobileRecharge.com runs a policy focused on integrating superior customer service, while maintaining the highest standards of technology at affordable rates. Visa, MasterCard, American Express, Discover and PayPal. Moreover, payment is available in several currencies: US, Australian or Canadian Dollars, plus British Pounds and Euros. The payment security system is known as very strong. Hundreds of thousands of consumers and businesses. Every 2 minutes, someone new joins MobileRecharge.com. Most of MobileRecharge.com fans are expats. We are a multiethnic team serving expats worldwide. With over 10 years of experience, we deliver security and reliability, making us a top market player in the global telecommunication field. Product Quality and Customer Satisfaction are essential for us, since we’re customers ourselves in the first place.Customer feedback has played a very important role from the beginning! That is why we managed to built an easy, flexible and 100% secure system, matching our customers’ expectations.